Squeeze it. Chef’n make it easier than ever to enjoy your favorite fruits to the fullest. No paring knife, no cutting board necessary. 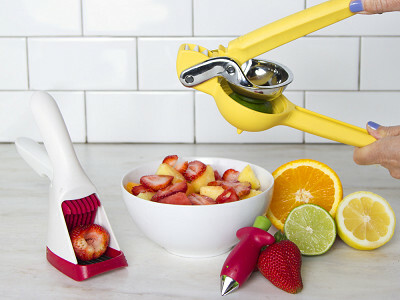 Half a lemon, lime, clementine or small orange goes a long way with the FreshForce Citrus Juicer. It produces 20% more juice than other handheld presses. More juice. Less effort. We’ll drink to that. 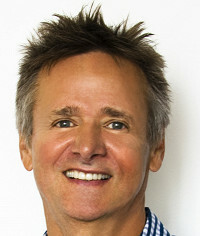 Where others see utensils, Chef’n founder, CEO, and famous inventor, David Holcomb sees opportunity to make better tools so you can make better food. In 1982, he brought us the Garlic Machine, a way to mince a garlic clove without smelling like one. 250 product patents later, Chef’n continues to bring fresh thinking to every corner of the kitchen. Where others see utensils, we see potential. At Chef'n, every product gives us a chance to bring thinking to the smallest corner of the kitchen. I am a big fan of Chef'n. I purchased a dual salt and pepper grinder at a gourmet food store out of state last year. Unfortunately it broke a couple weeks later. I sent a photo via email of the problem not knowing what I would hear back. That same day I received an email that wanted my address and that a new grinder would be on it's way that very day. They didn't' even need me to return the old one. They then followed up to make sure I had received it and that it was up to my satisfaction. A great company that stands behind their product. And the new grinder has been working great for months. Thanks Chef'n! Squeeze it. Chef’n make it easier than ever to enjoy your favorite fruits to the fullest. No paring knife, no cutting board necessary. 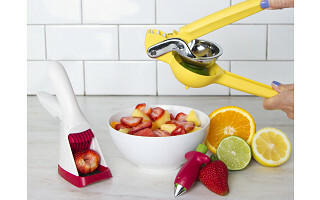 Half a lemon, lime, clementine or small orange goes a long way with the FreshForce Citrus Juicer. It produces 20% more juice than other handheld presses. More juice. Less effort. We’ll drink to that.